Name and phone number of producer will be public information. Will this program be a series? 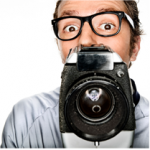 Will you be using your own camera? How will you publicize the show? Will the program contain harsh language or themes requiring parental discretion? All videos that you tape or edit using Media Center equipment must be made into non-commercial programs to be shown on our community access channels. I am aware of the non-commercial and playback policy above.